Written by Adam on July 14, 2017 . Updated October 24, 2018. Every month I put together a list of things I want to work on in the coming month. When creating these goals, it’s always easier when I have a reference point to base any improvement on. I think of it the same as saying you’re going to lose weight, but never weighing yourself. For my July 2017 Monthly Goals post, you might notice that each of these has a “benchmark” associated with — which is how I did on these in June 2017. For these, having this benchmark in the first place offers a starting point. Here are some of the things you can track to work on improving. 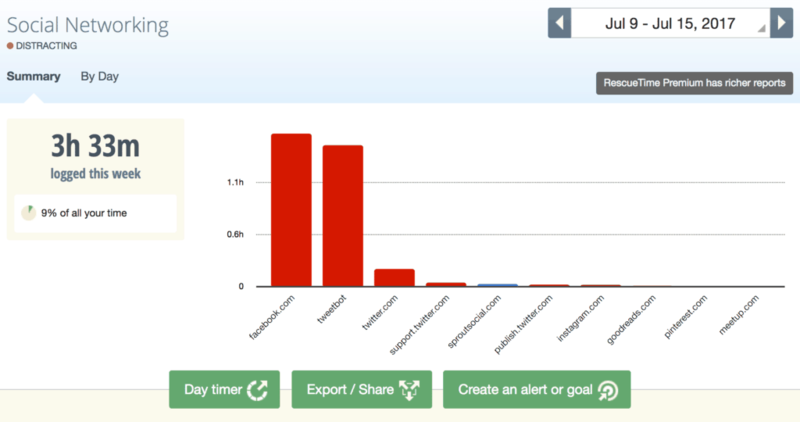 RescueTime – Great for general application and website usage. Fitbit Alta HR – The most simple fitness, sleep, and heart rate tracker. Not everything you’ll want to improve will be trackable by some mindless tracker though. For those, you’ll still need to track them manually. I lean to automated tracking for everything I possibly can. This doesn’t work for everything, and whenever something isn’t automatically tracked, I’ll tend to fall off the tracking bandwagon. 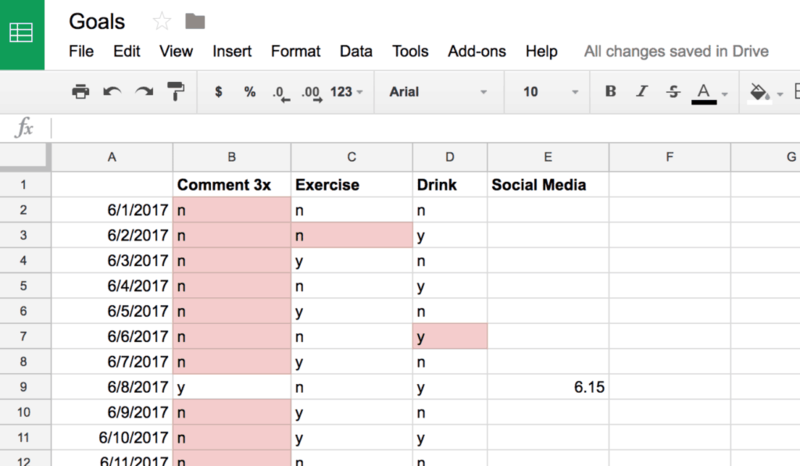 I’ve tried all of these, and what I’ve always come back to is using a Google Sheet to track things. 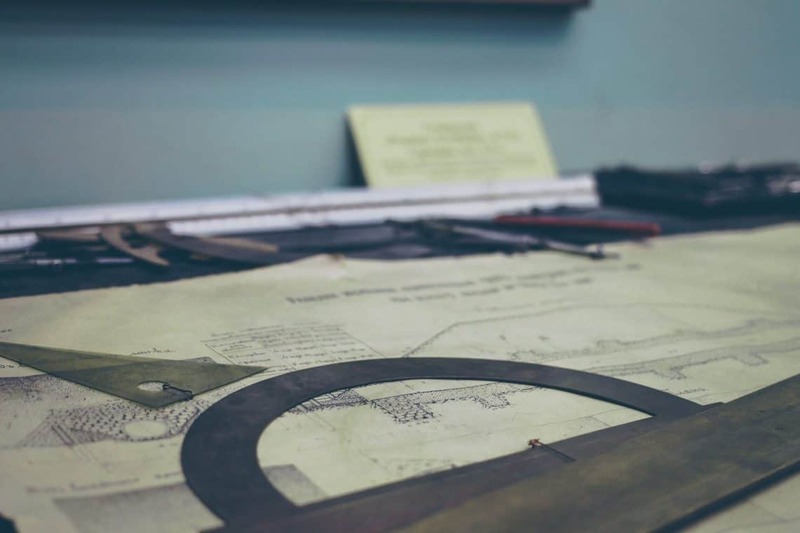 The downside of using an existing app is being tied to a specific methodology, and I prefer to adapt and change my strategy to accomplish a goal as I know more. I’ll add comments to my sheets and adapt my strategy. For my last month goal, I had this great idea of replying to 3 posts a day and posting comments. That’s been a more difficult one than I expected. I don’t want to leave terrible comments, so I’ve quickly decided to revise that and update it in my Google Sheet. Another benchmark of mine from last month was around using social media less — namely Facebook and Reddit. This one has quickly changed as I decided to start a Minafi Facebook Page. With RescueTime. you can actually split time out based on URL, which would allow for segmenting — but that’s a $9/mo feature. A snapshot of my current week on Facebook. Don’t waste time tracking what you aren’t interested in improving. Once you’ve reached a point where you don’t think tracking is going to help, it’s OK to stop tracking as well. This is just a small sample of things you can track and ways to do it. What other activities have you found useful to track? What are other services great for passive tracking? That which gets measured gets managed!